Product code: 341 Categories: Sold Items, Sold Omega Watches. 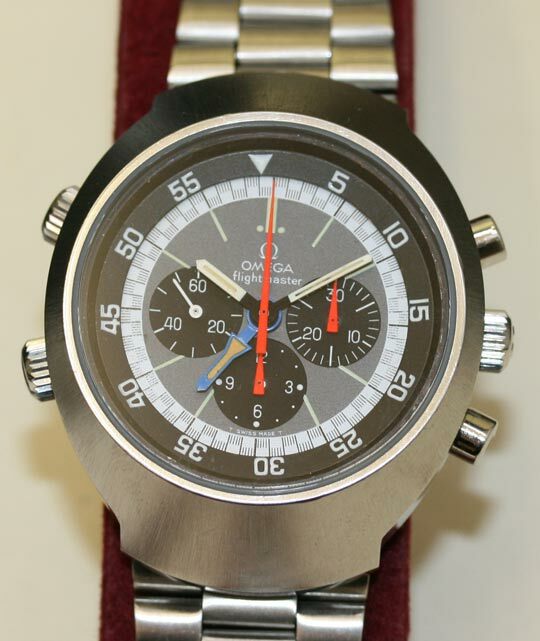 Yes this is an original Omega Flightmaster. Just back from undergoing quite a major and comprehensive service, this is what a watch is all about! A completely original 1971 Omega Flightmaster with the original Omega bracelet. Fitted with Omega’s brilliant manual wind calibre 911, this watch keeps perfect time. A very solid gents watch from the 70’s that will just keep going up in price and desire.